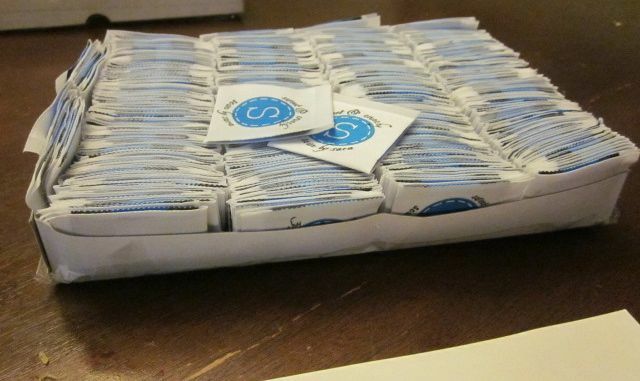 Look what arrived in the mail today… labels! 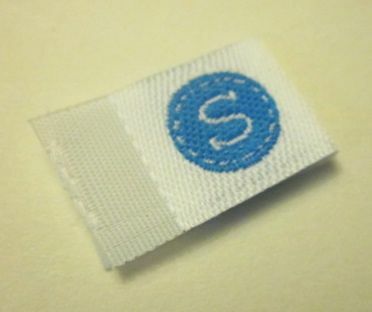 Now I can just grab one whenever I want and add it to whatever I’m sewing… no more stopping to starch the fabric, put it through the printer multiple times, cut, hem… how cool are these? They’re all lined up like good little soldiers, ready to be deployed. The large ones are about 2.5 inches square; they’ll be used for quilts and larger items. 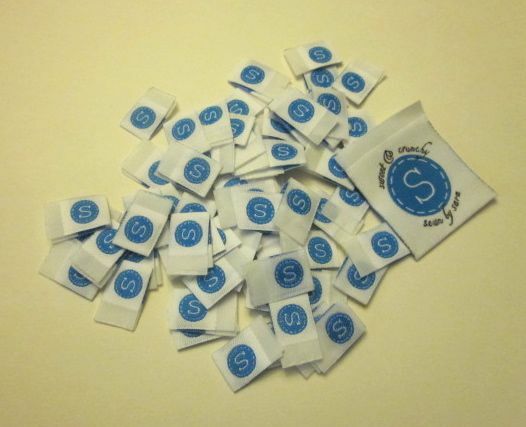 The small ones are about 1 cm square and will be used on small items or items where a larger label doesn’t make sense. Or one of these adorning a soft and fuzzy baby quilt. 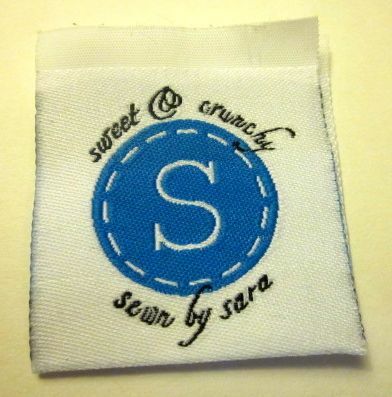 That’s one step closer to the grand opening of my Etsy shop… stay tuned! And for a special treat tomorrow I’ll be blogging about something that has nothing to do with crafty sewing stuff. looking forward to seeing your new Etsy shop! I read this but didn’t comment…so awesome!!! I love Etsy!!! People will be so lucky to get the beautiful things you make! mazel tov!